Posted on August 25, 2013, in AppleScript and tagged 365SportTV, EPL, move, position, size, Thailand, window. Bookmark the permalink. 2 Comments. I don’t think that makes sense. 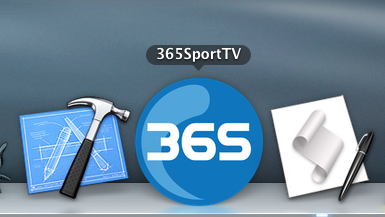 The 365SportTV app covers (almost) the full screen. I wouldn’t know where to move it to, and wouldn’t want to move it anyway. I would just point out though that its basic functionality of any app that you can click on the window and move it around or re-size it. In fact, I can’t think of any app except this one that doesn’t allow you to do that. For people like me, using multiple monitors with large screens, we want to be able to position and size the window where it suits us best. Unfortunately, although this bit of scripting will allow you to position the window where you want, it’s not possible to resize the window as the programmers haven’t put in the appropriate controls to allow that.